Fonts infuse designs with personality. 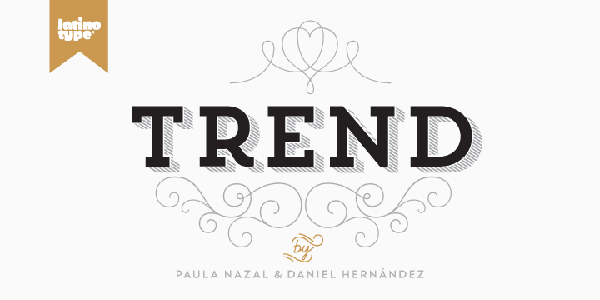 Our favorite for this month is Trend and I think you will agree that it has a great one. There are a bunch of different styles of this font and they have some great ornaments, too!